Looking for the hottest trends and designers this season? Searching for a stunning look for a specific occasion? 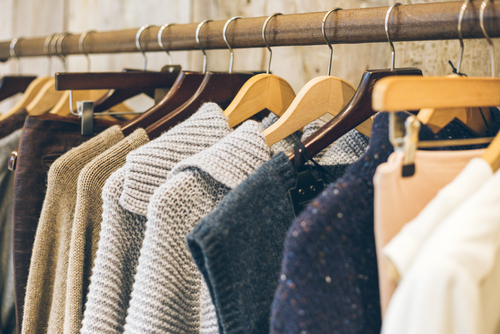 Let the personal stylists at Scout & Molly’s of Ballston help you find the perfect outfit. Our fashion experts will be there alongside you to make sure you get a personalized shopping experience that gives you the confidence you need to look and feel your best no matter the time or place! When you visit Scout & Molly’s of Ballston you can rest assured that you’re getting the kindness, respect, and honesty you need to look and feel happy and confident in your clothes. 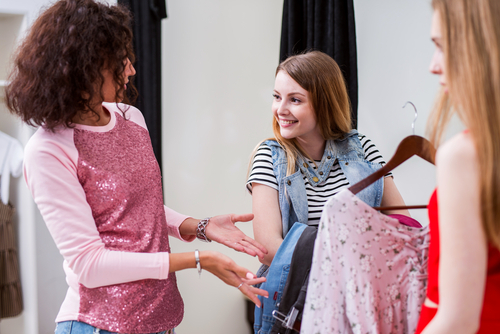 It’s our goal to make your experience feel just like you’re shopping out of a friend’s closet while offering advice and tips along the way. Our location inside the Ballston Quarter Shopping Center adjacent to Glebe & Randolph Park is only minutes from the plethora of restaurants, attractions, and other stores that populate the area. Ballston Quarter is nestled snugly in the heart of Arlington less than 15 minutes away from Ronald Reagan Washington National Airport and is accessible via the city’s metro system. If the metro isn’t your style, there’s also a secure public parking garage with over 3,000 spaces. No matter if you’re looking to wine, dine, shop, or play, Ballston Quarter has something for everyone. Get on US-1 S from Aviation Cir, W Entrance Rd and Airport Access Rd. Drive to S Glebe Rd and continue for 5.1 miles to Ballston Quarter. Follow E Broad St to S Roosevelt St. Take South St to US-50 E/Arlington Blvd in West Falls Church. Follow US-50 E/Arlington Blvd to Arlington. Take the exit toward Carlin Springs Rd from US-50 E/Arlington Blvd. Turn left onto N Carlin Springs R. Turn Left onto Carlin Springs Rd. Take George Washington Memorial Pkwy to US-29 S in Arlington for 9 miles. Take I-66 W and VA-120 S/N Glebe Rd to Wilson Blvd, then a slight left onto Wilson Blvd. Get on I-695. Take I-395 S and S Washington Blvd to N Pershing Dr in Arlington. Turn right onto N Glebe Rd and take a sharp right onto Wilson Blvd.